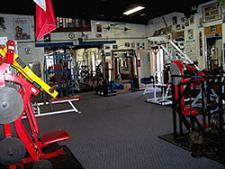 The Exercise Warehouse Gym & Fitness Center has been in existence for 20 years. The Exercise Warehouse Gym evolved from a dream young Marco had when he was a young bodybuilder to open a gym. Marco's father was very sick while Marco was growing up, so he vowed that when he grew up he would become strong and healthy. Marco's father gave him his first barbell set in 1963, when he was 13 years old (this barbell set is on display at the Exercise Warehouse Gym). So Marco started weight training and reading books about the benefits of healthy eating and exercise. This prompted Marco to encourage others to adopt a strong and healthy lifestyle Marco has been bodybuilding and weight training for 42 years. Exercise Warehouse Gym offers the finest facility in the Pittsburgh area. Health conscious individuals, both men and women who take weight training seriously, achieve their goals here. Beginners, intermediates and advanced trainees all train here. Personal trainers are available.